My departure and return dates to Paris. Everything in between is free. 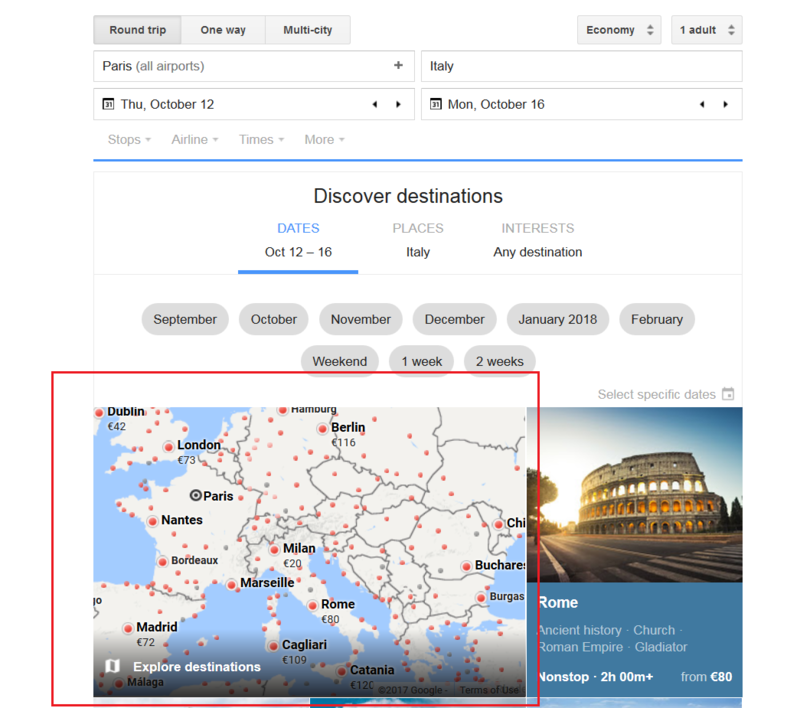 I am wondering how to find the cheapest flights TO and BACK from Italy, regardless of the city. 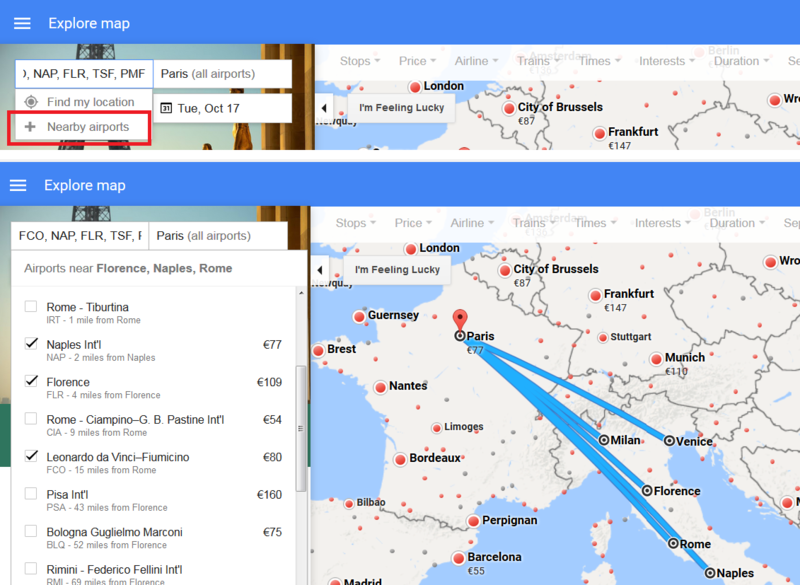 I would like to expand Top Questions answer as I think that the Google flights seems to be the most easiest and straight forward way how to do this (I use it for the same thing as you want to). 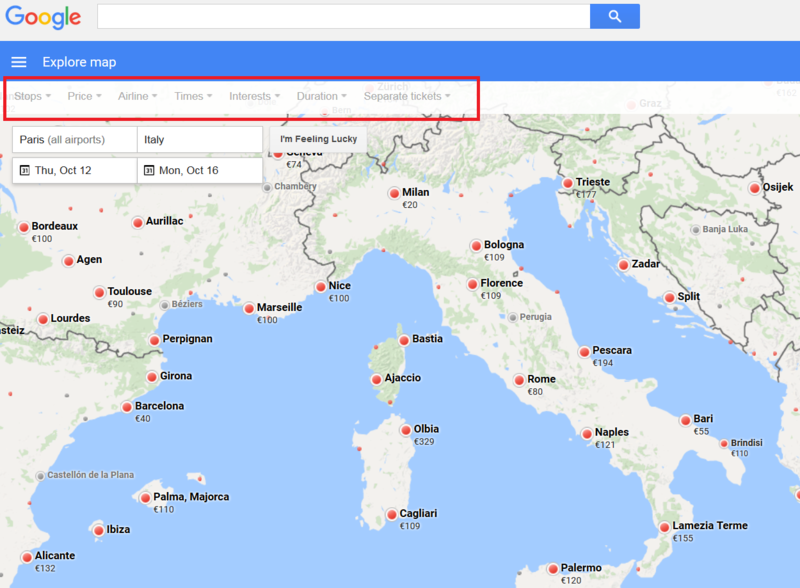 Go to google flights and pick your departure city (Paris) and destination (Italy) and go to the map (Explore Destinations - red box). Map view opens where you can check all possible destinations. Use filters (red box) to narrow down your options. Edit As it is not possible to input country in the Origin, then a "workaround" could be to use "Nearby airports" (red box). You can, however, put only 5 of them, still it is possible to cover the biggest airports of a country (additionaly it shows cheapest price for most airports in the list). Not the answer you're looking for? Browse other questions tagged flight-search-engines or ask your own question.